After stocks somewhat stabilized last week, the market is just calm enough to avoid the label of a total meltdown. But the PowerShares QQQ ETF Trust (NASDAQ:QQQ) fell about 10% in ten days, and high-quality names like Alphabet (NASDAQ:GOOG, NASDAQ:GOOGL) were not spared. While GOOG stock has held up somewhat well over the past week, it’s down over 8% this month. Considering that Alphabet stock had come under pressure earlier in October, this latest dip isn’t pleasing to shareholders. GOOG stock is now down 15% from its highs. However, investors are getting an excellent opportunity to gobble up a few more shares of an incredibly well-run tech giant at a discount. 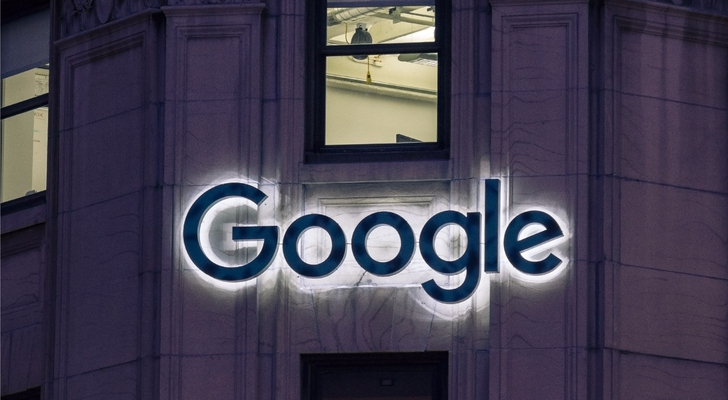 Here are four reasons why you should buy GOOG stock on the pullback. Alphabet’s core business remains incredibly robust. With its popular Android operating system and its status as the default search engine on Apple (NASDAQ:AAPL) devices, Google is set to remain the premiere operator of mobile search. While Facebook (NASDAQ:FB) and Amazon (NASDAQ:AMZN) are gobbling up more ad revenue than ever, GOOG will remain the search champion for many years to come. Moreover, Alphabet owns the top two websites in the world: Google.com and YouTube.com. Its overseas websites, such as Google.uk and Google.ca, are also extremely popular. Users stream an average of 1 billion hours per day on YouTube. GOOG’s search and video businesses are well-oiled machines, with feelers and tentacles in plenty of other businesses. Alphabet’s core business is one reason to believe in GOOG stock, but the company’s growth and the valuation of Alphabet stock should also make investors confident in the shares. Analysts on average expect the company to generate revenue growth of 23.5% this year and more than 19% growth in 2019. The company’s earnings growth is expected to roughly match its revenue growth in 2018, while estimates call on average for 20.5% earnings growth in 2019. Given these consensus estimates, the stock’s current valuation of 27.5 times this year’s earnings is not unreasonable in my view, since GOOG stock is a blue-chip tech name. Furthermore, it has a defensible business and strong growth. The bright future of GOOG should also make investors upbeat on GOOG stock. Apple’s iPhone will likely always beat Alphabet’s Pixel phones, and Amazon will probably beat Alphabet when it comes to smart speakers. But Alphabet will stay ahead of both of them on the video and automotive fronts. YouTube is a heavyweight on its own, but YouTube TV is no slouch. I use the latter product, and I’m very happy with it. It’s simple to use, works on all my devices, is way cheaper than cable and provides unlimited DVR. Signing up for and adding YouTube TV is simple, and it offers reasonably-priced TV content without forcing users to give up a great deal of sports or live content. But Google’s Chromecast products and video streaming efforts can be greatly improved. If the company, which already partners with Roku (NASDAQ:ROKU) on its voice assistant, works with Roku in other areas in the future, it could quickly enter and dominate other video and streaming markets. In the automotive world, Alphabet’s self-driving segment, Waymo, is reportedly still on track to launch its commercial service later this year in Arizona. Some analysts have valued this segment at up to $180 billion, but many others have pegged its value at more than $120 billion. Even for Alphabet and its $760 billion market cap, that’s a sizable figure. Meanwhile, there are reports that Google is gearing up to enter China. That move could pay dividends. Although China won’t move the needle for GOOG this quarter or even next year, down the road it could be an important segment for the company. Time will tell whether the China business will pan out, but it’s something investors are surely watching. Please don’t forget about the company’s push into the smart home segment or its massive cloud opportunity. So what should investors do? 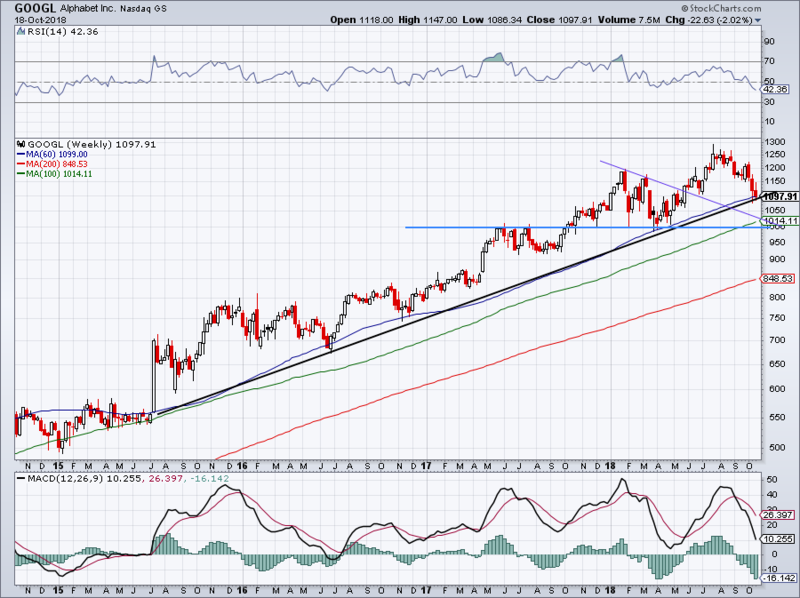 Long-term investors could initiate a small position in GOOG stock near current levels, with uptrend support nearby. If Alphabet stock drops, look to buy more shares near $1,000. Bret Kenwell is the manager and author of Future Blue Chips and is on Twitter @BretKenwell. As of this writing, Bret Kenwell is long GOOGL and AAPL. Article printed from InvestorPlace Media, https://investorplace.com/2018/10/3-reasons-to-buy-goog-stock/.